GOUGH - SWINDON, THIS IS SWINDON. 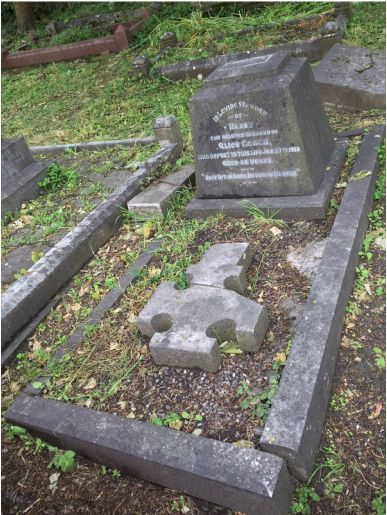 Harry Gough was born in 1869 in Wotton Bassett and was the son of a shepherd. He moved to Swindon and by 1901 he was the landlord of the George Inn, Eastcott HIll, Swindon. In 1903 he was the landlord of the Park Inn, William Street, Swindon. 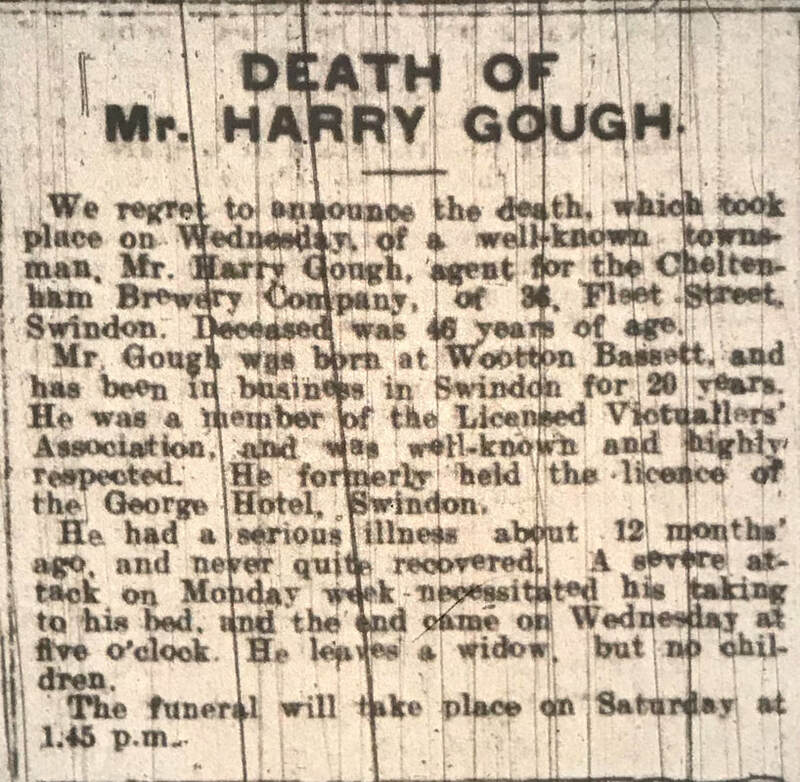 At the Swindon police court on Thursday 6th Aug 1906 Harry Gough was granted the transfer of the Licence that had been previously held by Harry Dyke. 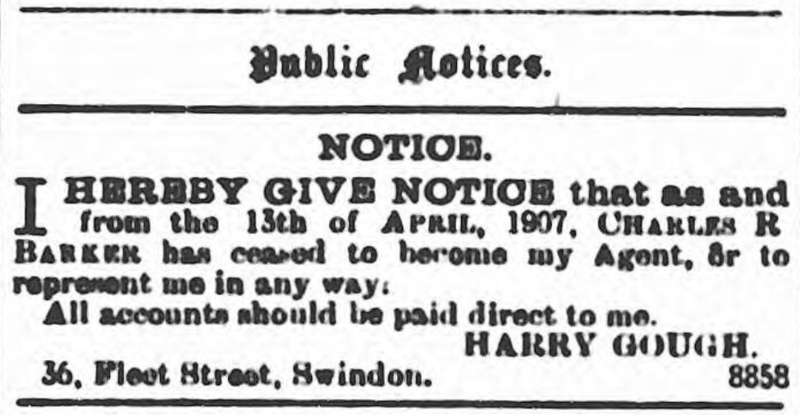 An ad in the 1907 North Wilts & District Directory Advertiser shows Harry running his new business as a Brewer's Agent operating from Fleet Street, New Swindon. 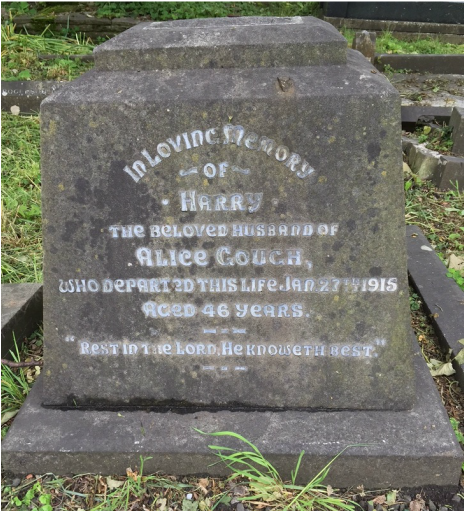 Harry died at home in 1915 aged just 46. Mug from the Geroge Inn, Eastcott Hill, Swindon.